Aldis Hodge started his acting career at the age of three, when he went on a print job with his brother and was chosen for an ad in Essence magazine. Hodge was doing print ads and commercials when he was bitten by the acting bug. At the age of 9, Hodge was cast in the Tony-winning revival of Showboat on Broadway. During that period, he also appeared in several movies, including Die Hard with a Vengeance and Bed of Roses. Hodge headed to Los Angeles to continue his acting career and quickly landed several recurring television roles, including the role of Voodoo on Friday Night Lights. He has appeared in such shows as Supernatural, Girlfriends, American Dreams and City of Angels. Other TV appearances include Bones, CSI, ER, Cold Case, Charmed and Boston Public. His movie credits include the independent The Stone House, Edmond, the Coen brothers’ remake of The Lady Killers and Big Momma’s House. In addition to acting, Hodge writes scripts for film and television, designs watches and is actively pursuing his own watch company. Do you want to hire Aldis Hodge? Directly request a quote. 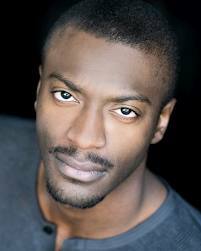 In 48 hours we can send you the availability of Aldis Hodge If you would like to book Aldis Hodge, Entertainment Booking Agency is the right place. We will offer you the best price and contact the management or we directly contact Aldis Hodge. For corporate appearances or speaking engagements you can contact our agents and the will help you true the process. Tags: hire Aldis Hodge, Aldis Hodge booking, book Aldis Hodge, Aldis Hodge appearances, find more information on booking Aldis Hodge for appearances, Aldis Hodge speaking engagements, Aldis Hodge endorsements/spokesperson, Aldis Hodge appearance fees, Aldis Hodge booking agency contact info, biography of Aldis Hodge, Contact an artist booking talent agent find a speakers bureau that can book Aldis Hodge, speaker booking agency for Aldis Hodge, Aldis Hodge booking agency, Aldis Hodge booking for corporate event. EBA is one of the biggest entertainment booking agencies in the World. We book hundreds of celebrities, artist, athletes and speakers in a year. Important to know is that we are not claiming to be the management of Aldis Hodge. We are not the official agent for Aldis Hodge. Companies from around the globe book these artists and speakers true our company be course we have one of the biggest networks and we always have direct contact with the artist or the management. We help you to find the right celebrities for your corporate of private events. Please contact one of our agents to get free advice and we will help to get the world-famous artist on your party.